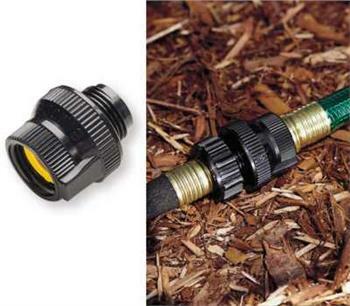 Use for drip and soaker irrigation systems. Prevents water back flow to maintain water pressure in system. Available individually or in cases of 8. Use for drip and soaker irrigation systems. Prevents faucet water back flow to maintain water pressure in system and prevent contaminants from entering home water system. Available individually or in cases of 8.